Leaders of the University of Wisconsin System, the Wisconsin Association of Independent Colleges and Universities, and the Wisconsin Technical College System released an open letter to President Barack Obama and members of the United States Congress expressing support of the president’s overall vision to improve access and affordability in higher education. At the same time, the chancellors and presidents expressed deep concern over changes to the Postsecondary Institution Ratings System (PIRS). They are worried that the system could limit student choices and financial aid, ultimately harming affordability and access for the state’s students. The proposal to tie federal financial aid to college rankings which could unfairly harm institutions that serve disadvantaged students who might take longer to complete a degree. Data about admission, cost, students and faculty are public and widely available. The creation of a new system could be redundant. Ratings systems can lead to standardization, resulting in less innovation. The leaders support regulatory waivers that would allow campuses to pursue new educational delivery models. David Rubenstein, co-founder of the Carlyle private equity firm, recently told world economic leaders gathering in Davos, Switzerland that students today need the critical thinking skills that are developed by the study of arts and humanities. Rubenstein believes the emphasis on STEM (science, technology, engineering and math), has come at the expense of the study of literature and philosophy and that a well-rounded education based in the humanities will lead to greater success in one’s career. He noted that many top executives received degrees in the humanities and that technical job skills can be learned later on the job. The National Center for Higher Education Management Systems and the Association of American Colleges and Universities released a report yesterday that provides data on employment outcomes of liberal arts graduates. 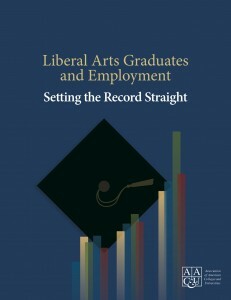 The report, Liberal Arts Graduates and Employment: Setting the Record Straight, compared salary and employment data of liberal arts majors with that of science, math, and engineering graduates and professional and pre-professional graduates. “Recent attacks on the liberal arts by ill-informed commentators and policy makers have painted a misleading picture of the value of the liberal arts to individuals and our communities. As the findings in this report demonstrate, majoring in a liberal arts field can and does lead to successful and remunerative careers in a wide array of professions.” — Carol Geary Schneider, president AACU. The study found that employers want workers with both broad knowledge and specific skills — four out of five employers agree that all students should have broad knowledge in liberal arts and sciences. The report also found salary outcomes should be measured over an entire career. Earnings of liberal arts graduates, especially those who attain advanced degrees, can outpace professional and pre-professional graduates over several decades. Governor Scott Walker will offer more details about his proposed $504 million tax cut in his State of the State address at 7 pm this evening. The speech will be broadcast live on public radio and television, with audio stream and video stream available online. The governor plans to utilize part of the $912 million budget surplus to lower state income and property taxes. The Legislative Fiscal Bureau announced last week that tax collections are expected to exceed initial projections, allowing for a surplus at the end of the 2013-15 biennium. The governor’s plan adds $100 million to the state’s rainy day fund, but raises the structural deficit by about $100 million to $725 million at the end of the biennium. Democrats and Senate Republicans, however, have expressed concern. Senate President Mike Ellis (R-Neenah) and Senator Dale Schultz (R-Richland Center) both have said the would like to pay down structural deficit while Senate Minority Leader Chris Larson (D-Milwaukee) and Assembly Minority Leader Peter Barca (D-Kenosha) told reporters they would like to fund gaps in Medicaid and W-2 before implementing tax cuts. The State of Wisconsin Investment Board (SWIB) announced earlier this week that the two funds it manages for the Wisconsin Retirement System (WRS) posted strong gains in 2013, allowing for the first pay increase in five years for annuitants. The Core Fund ended the year with a 13.5 percent gain and the riskier Variable Fund posted a 29 percent gain. These gains surpassed benchmarks set by SWIB. Three state departments released a report in 2012 recommending no changes to WRS. The legislature requested the study as part of the 2011-13 state budget. In particular, the study was to examine the possibility of allowing WRS participants to choose a defined contribution plan or opt out of WRS altogether. Assembly Bill 470 would increase the minimum retirement age by two years. If passed, it would apply to workers 40 and younger. Assembly Bill 471 would calculate benefits based on the five highest earnings periods, a change from the current three year formula. Both bills are in committee awaiting a public hearing. Louisiana State University President and Chancellor F. King Alexander will visit UW-Madison tomorrow, Friday, January 17, for a discussion of federal oversight in higher education, including President Obama’s College Scorecard. Alexander was named to the newly-merged position of LSU Chancellor/ LSU System President last year. He received his Ph.D in higher education administration from UW-Madison and served as president of California State University-Long Beach before arriving in Louisiana. He also served as president of Murray State University in Kentucky. This event, sponsored by WISCAPE, the Wisconsin Center for the Advancement of Postsecondary Education, will be held at 9 am in Room 290 Education. It is free and open to the public. Kathleen Gallagher of the Milwaukee Journal Sentinel wrote about UW-Madison’s economic development efforts and the launch of Discovery to Product (D2P) yesterday. The front page article noted that Chancellor Rebecca Blank has the opportunity to fill three high profile director positions — University Research Park, the Office of Corporate Relations and D2P are all hiring. UW-Madison attracts more than $1 billion annually in research funding, ranking third among research universities in 2010. The university lags, however, when it comes to attracting research spending from business and commercializing research through partnerships with industry. Entrepreneurs at the University of Wisconsin-Madison soon will have a new advocate on campus that should boost the number of ideas that are commercialized, which we think should, in turn, give the state’s economy a boost over time. The University of Wisconsin Board of Regents appointed UW Colleges and UW Extension Chancellor Raymond Cross next president of the University of Wisconsin System. Cross succeeds Kevin Reilly who stepped down in December to take a position with the American Council on Education. UW-Whitewater Chancellor Richard Telfer will serve until Cross takes office in mid-February. Cross will appear at a 9 am news conference tomorrow, Friday, January 10 at UW-Milwaukee. Livestream video will be available here. 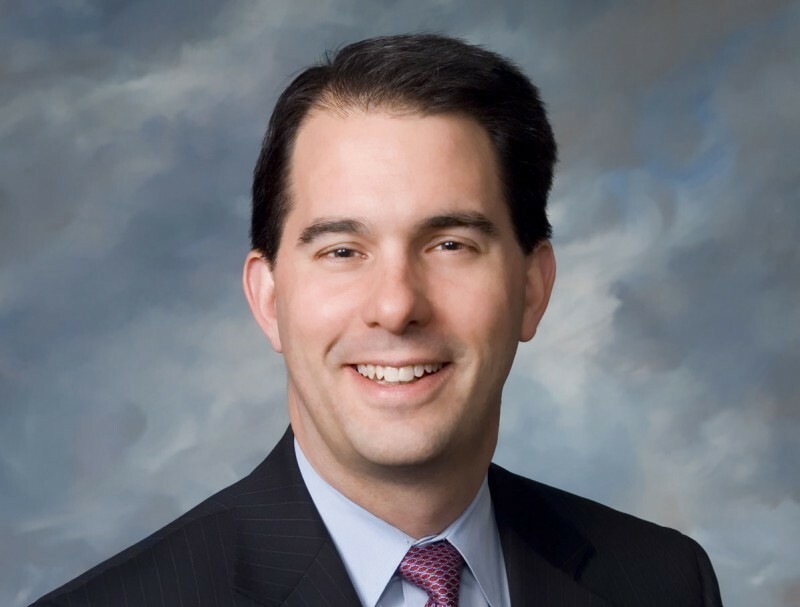 Governor Scott Walker will deliver his fourth State of the State address at 7 pm on Wednesday, January 22. Walker, who is running for re-election in November, will likely outline his legislative priorities for the remainder of his term and may offer hints about his campaign against Democrat Mary Burke. PROFS will post links to live video and audio streams of the speech when they become available. Faculty, staff, students, and members of the public may watch and participate in the open forums at locations on each UW System campus. UW-Madison is hosting two sites: Room 4500, Wisconsin Institutes for Discovery, 330 North Orchard Street, and Room L138, Education building, 1000 Campus Mall. UW-Extension is hosting a site in Room 523, UW-Extension building, 432 North Lake Street. The finalists will also be interviewed by the Regent selection committee, chaired by Regent president Michael Falbo and comprised of Regents John Behling, Margaret Farrow, Tracy Hribar, Edmund Manydeeds, and Gerald Whitburn. The new president will be named on Thursday, January 9.